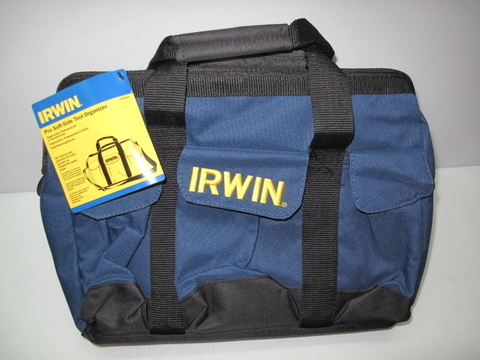 Irwin 26" Professional Soft-Side Tool Organizer Bag..
Professional end-users have high demands for their tools. IRWIN® understands these demands. 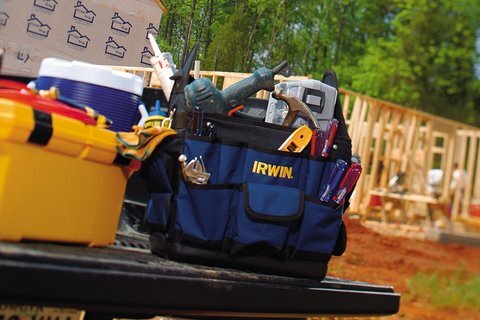 Toughness and value are qualities you’ll find in every IRWIN® toolbag and organiser. .Small, lightweight and strong with zip fastening for security. Padded handle features reinforced stiching for extra strength. 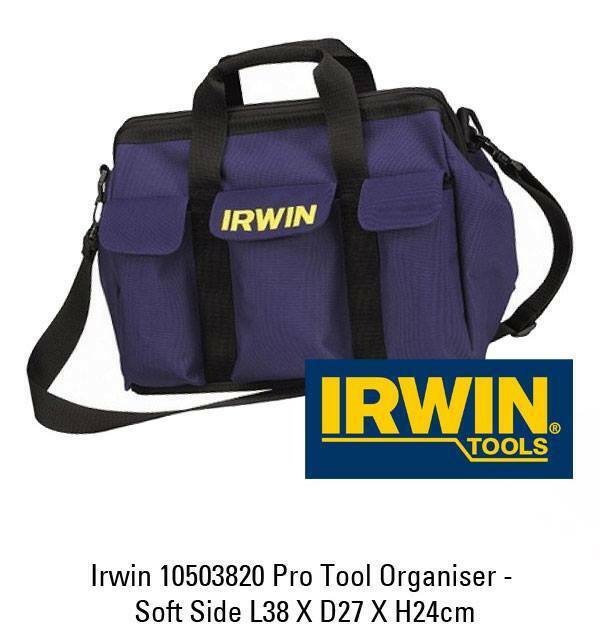 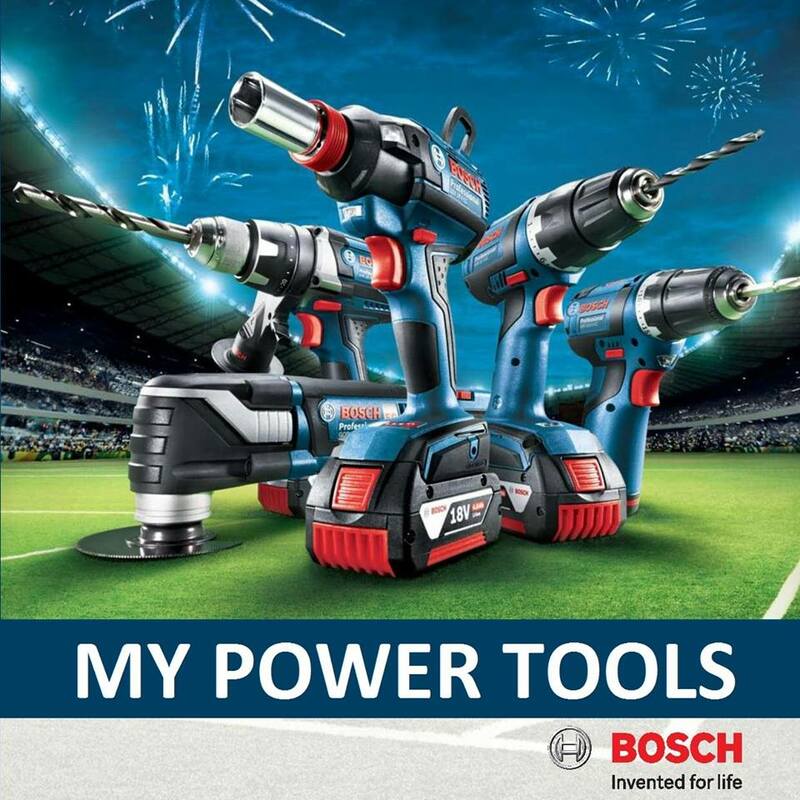 .Extra wide opening provides easy access to all tools. 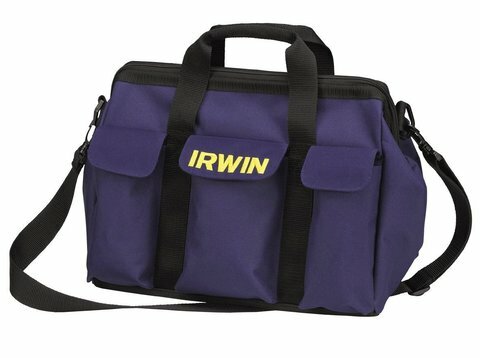 .Bottom made of tough wear-resistant plastic (600D Polyester is durable and virtually maintenance free) with reinforced rivets throughout for added durability. 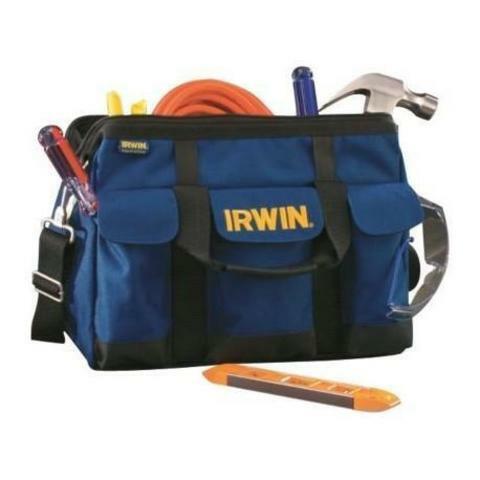 .The soft, rubberised handle is ergonomically designed to evenly distribute weight. .Large Capacity Storage which opens at the top for quick and easy access. 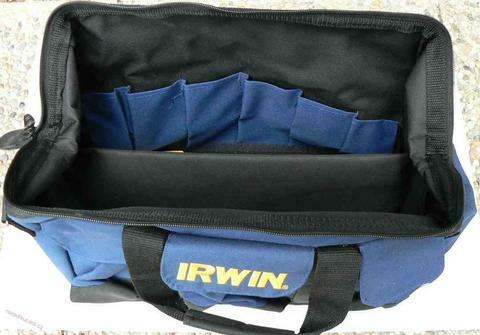 .The false bottom provides separate storage for important items.